The sound of rain is on a tent is delightful, that pitter-pattering that tells you the wet, wild world is outside whilst you are sheltered and warm. Although maybe it isn’t quite as delightful if you have a need get out of your snuggly sleeping bag and go out into said wet, wild world. Well, there is one rain sound that is even more delightful than tent rain and I have only experienced it in New Zealand. 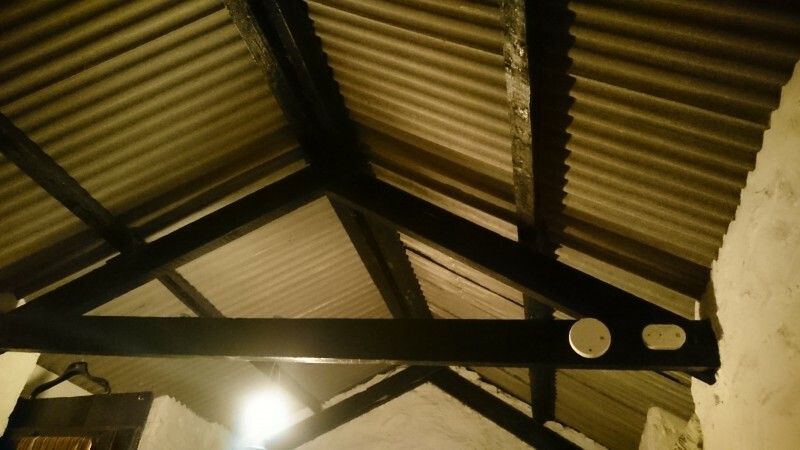 It is the sound of rain on a tin roof (well they are steel but tin sounds more romantic). 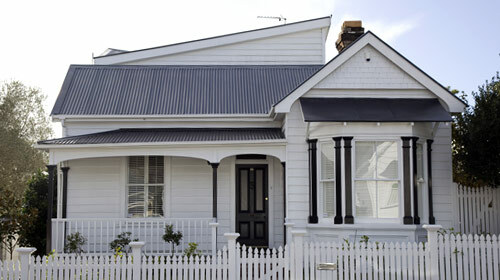 Lots of older and newer New Zealand houses have metal roofs, some are sheets of corrugated galvanised steel, others are metal tiles. 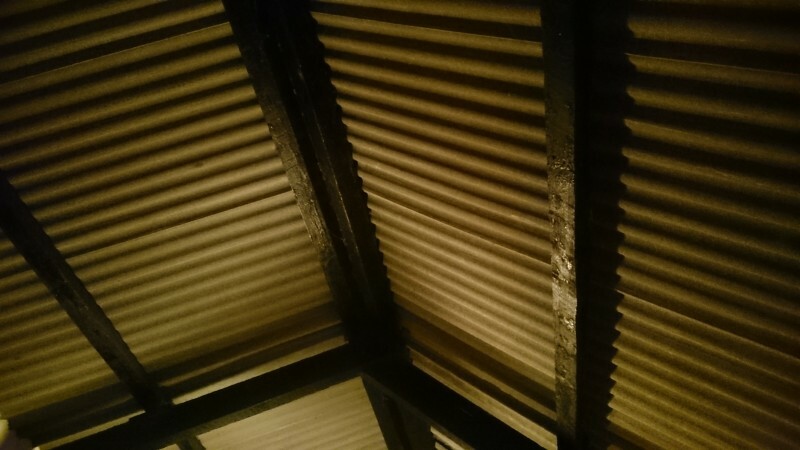 The sound of rain on these roofs is like no other and has probably woken many a Kiwi up in the middle of the night, but I used to love it. 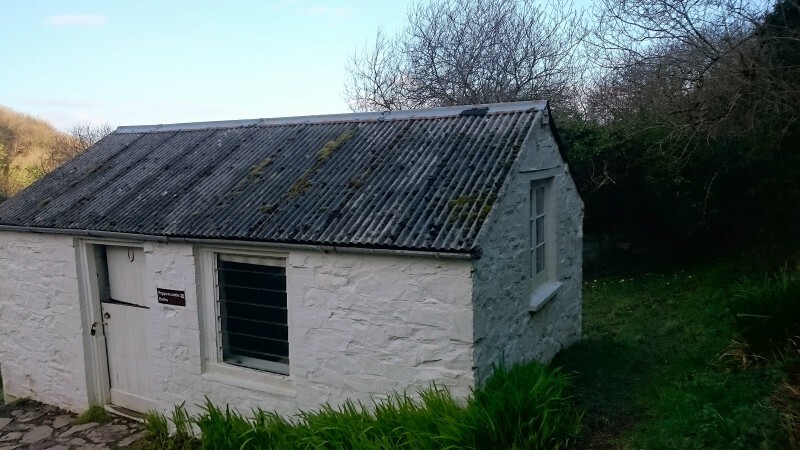 Which is why I was so excited when I arrived at the Peppercombe Bothy in North Devon, to note a corrugated roof. To add to my anticipation, Storm Doris had just started to make herself heard and rain was clearly in the air. At bedtime I took a few photos of the roof (I particularly like the way the wall had been rendered into a lovely shape to meet it) then lay in my sleeping bag waiting to hear my noise from the past. I am particularly good at sleeping soundly on wooden platforms. My memories of metal roofs were wrong and rain never makes a noise on them. Doris was only pretending to be a storm. The roof wasn’t made of metal after all. You should really have heard a cat scrabbling about up there, but that would have been at midday, when the sun had render the roof “hot”. We didn’t hear anything except Storm Doris who was doing a lot more than scratching! Rich, thank you so much. I love New Zealand and that is an amazing story. I really enjoyed reading it.